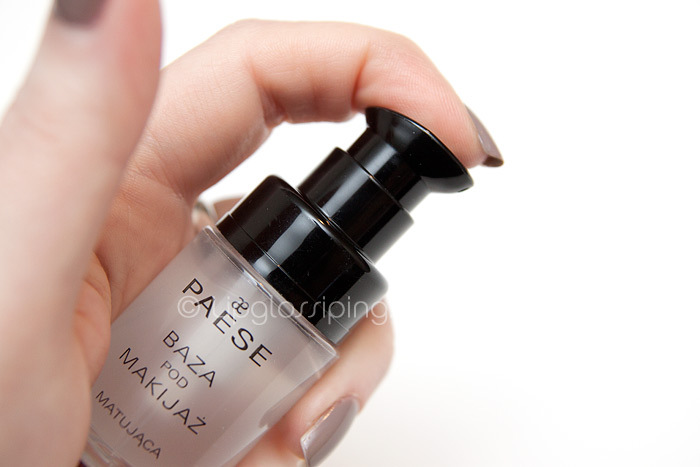 Paese Cosmetics is a Polish cosmetics brand new to the UK market. 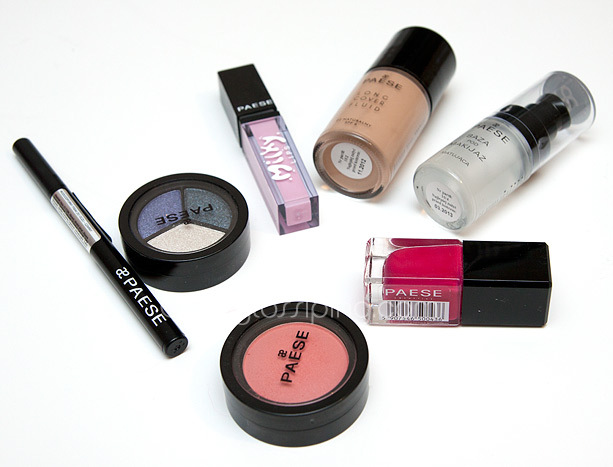 Currently only available online from http://paesecosmetics.com, the brand encompasses a wide selection of products from primers through to nail polishes and most things inbetween. Paese Cosmetics’ price point aligns it with the drugstore market, infact… slightly cheaper. A foundation will set you back just under £10. I was sent some samples to put to the test, read on for images and my thoughts on the base products I received. I’m focusing only on the base products today simply because this would be the longest post in the world if I reviewed everything in one go! 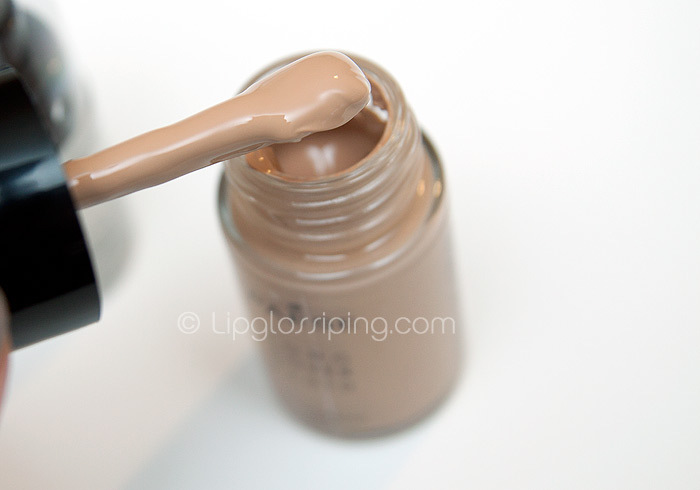 Matte Base 15ml (£9.65) is a silicone-heavy primer for normal/combination skin. These are fairly common place on the high street nowadays and I have a love/hate relationship with them as they only occasionally live up to my expectations. The Matte Base primer has a thicker consistency than what I’m used to, yet feels surprisingly light on the skin. I was instantly struck by that lovely, slippy, silicone feeling as I worked it into my skin with my fingers. What I really enjoyed about the texture was that it wasn’t *too* slippy… my skin felt like velvet rather than satin. With some silicone primers I feel that they make the skin too slide-y which makes me wonder what the hell the foundation finds to hold on to!? This gave that smooth feeling without losing too much texture. As for mattifying, the effect was instant though not as long-lasting down the bridge of my nose as I would have hoped. I still needed a touch of powder an hour or so later. The product also lightly fragranced, which may be a concern to some of you though I didn’t experiene any reactions or irritation personally. I’m happy to jump off the fence and say that I like the Matte Base enough to purchase it when my sample runs out. Shall I tell you why? I really love how the base allowed my ‘trickier’ foundations to glide on, more so than any other primer I’ve tried. My Revlon ColorStay practically painted and blended itself onto my face. My MUFE HD… the same. These are the foundations that give me a little more trouble in the mornings and if I don’t get them right, they look like crap. Paese Matte Base has turned them into a dream and I’m falling in love with them all over again thanks to the flawless finish I’m seeing when I look in the mirror. Big thumbs up! 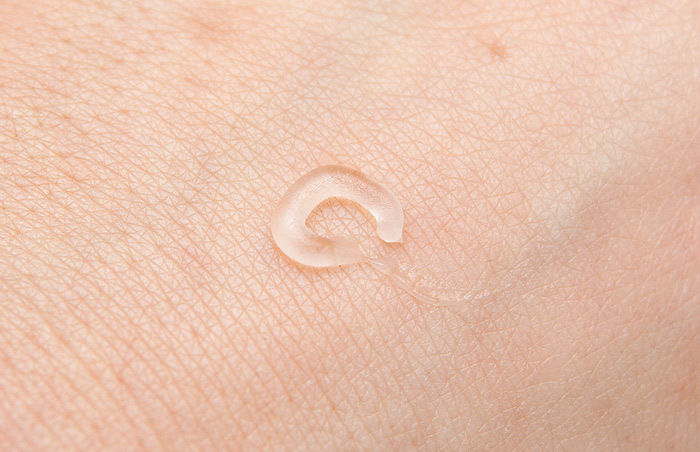 I was sent the Paese Long Cover Fluid 30ml (£9.14) which is aimed at providing long wear for normal/dry skins… it’s an interesting combination as most cosmetic companies tend to assume that dry skins don’t need products specifically designed to be long-lasting. I received shade #2 in Natural which was sadly too dark for me. 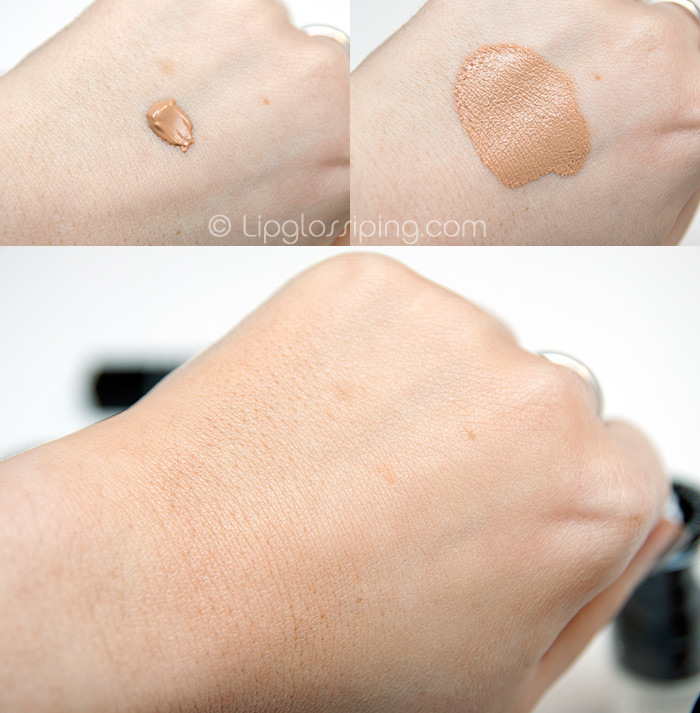 There are 4 shades in total and it’s pretty safe to say that the brand caters for neither dark nor very pale skintones. I’d be interested to know if the lightest shade would be a fit for me (MAC NW15) or still too dark as I suspect. Having said that, a rather big plus point is the neutrality of this shade. It leans neither yellow nor pink… the balance is spot on. I don’t think I’ve ever seen a truly neutral foundation that doesn’t look a little grey… until now. Now, that may look orange on me in the photo because I am so pink by comparison… but trust me, it’s really not. It’s just about 2/3 shades too dark. I’d say that it provides sheer/medium coverage, enough to even out skintone but not enough to give any coverage to blemishes or pigmentation. It feels lightweight and thanks to a moisturising formula, comfortable on my skin.. infact, it’s a little tacky to the touch for a good 5-10 minutes after applying. It contains only SPF6, so you’d be foolish to rely on this alone for sun protection. As for long-lasting? I didn’t find it particularly so… at least, no more so than any other foundation I wear and definitely less long-lasting than some of my more matte formulas. I’m not surprised by this… as soon as I applied it and felt the comfortable, satin finish, I knew that it wouldn’t win any awards for longevity. It’s just not tough enough! Overall, it’s a positive start into my foray with the brand. The foundation… although not completely disappointing, failed to set me alight or get me very excited but finding one product that I already want to own a backup of can’t be bad! I want to give the company additional credit for keeping shipping costs to a minimum (I love it when brands do that!) UK shipping is free for orders over £10 and a miniscule £1.90 for orders under. They also offer European and Worldwide shipping. Paese Cosmetics is available to buy online from their website. I like the look of the foundation but I am a nc25 and I have a feeling I wouldn’t find a match or would have to be super tanned! I like the price range but the packaging looks so much cheeper (a bit like 17) in real life than in the promo image! It’s always good to know off a trusted alternative brand. Hi! I’m curious about the nail polish will you do a review of that soon. Could you tell me how many ml in the bottle please? I would guess it is quite small? Thanks for that, not as small as I thought! The eye shadows are a no from me. Their brushes look promising though, although are a little expensive. Looking forward to the rest of the reviews! To be fair, Inglot is a much, much better Polish brand I don’t trust Paese, it’s really cheap in Poland (but then again, Inglot is about 5 timeas cheaper there than in the UK as well…), and to me id does not have the potential to become a really good brand. Hey, I’m from Romania and here this foundation costs 30 euros, I don’t know why and I was about to buy it until I found your review, now I found a site from UK where is 10 euros…I hope it will fit me because I have a light skin as well. Thanks!